Set in a very discrete and fairly remote lane in the village of Etchingham lies the idyllic location that is New House Farm. 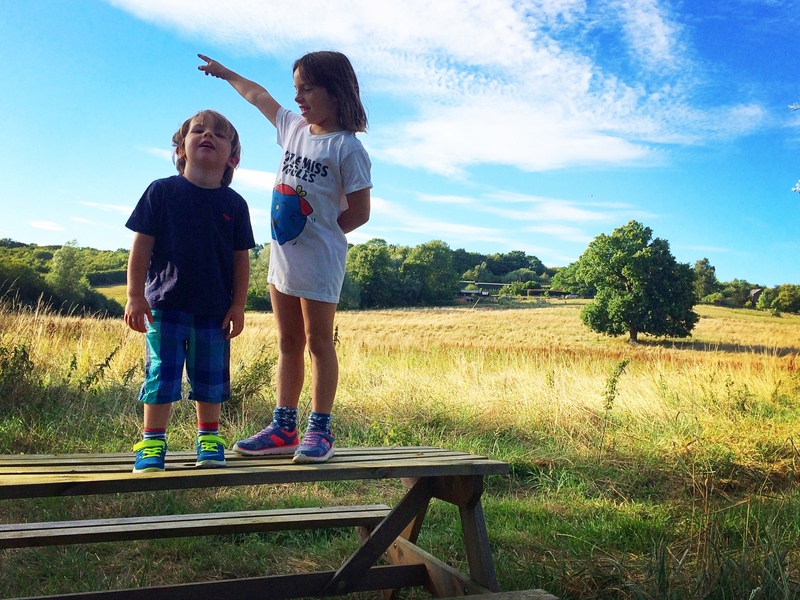 Bought by current owners, Nina and Jon Carter two years ago the couple have converted the former working farm into a stunning rural escape complete with 6 holiday lodges. 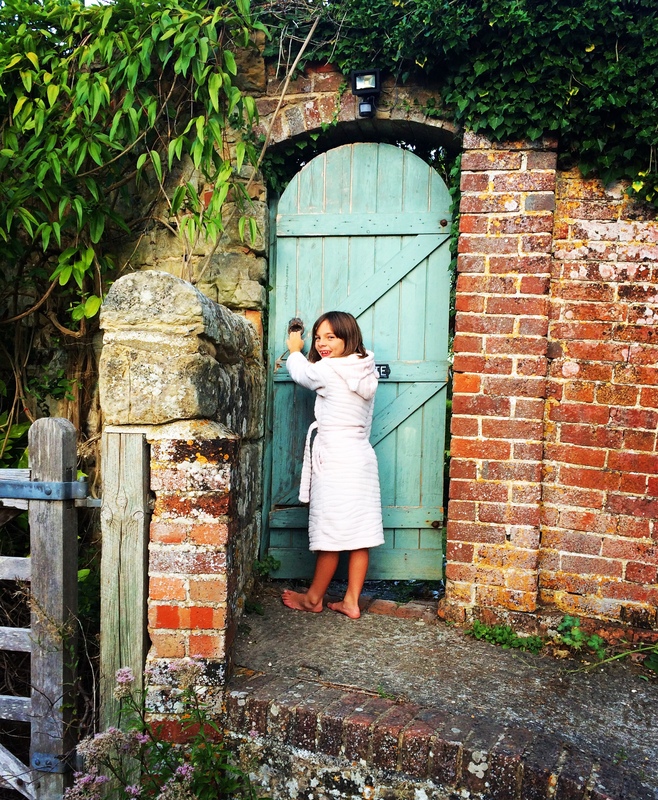 We spent a night in one of their Stable Lodges during the August school holidays and discovered a luxurious getaway ideal for the whole family. With a direct train link to London in Etchingham Village (a 5 minute drive) New House Farm is in the ideal location for a weekend getaway and offers a true taste of rural escapism. 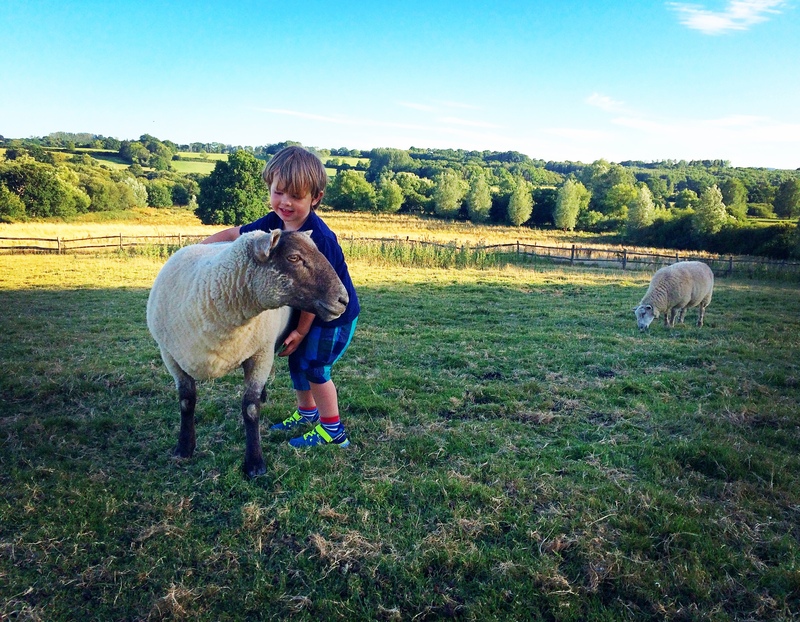 The farm enjoys unspoilt views across the Rother Valley and High Weald including the farm’s own 12 acres. North Stable Lodge is spacious, bright, comfortable and well equipped. An open plan kitchen and lounge area complete with wood burner looks onto an outdoor dining space with views across the adjacent fields. 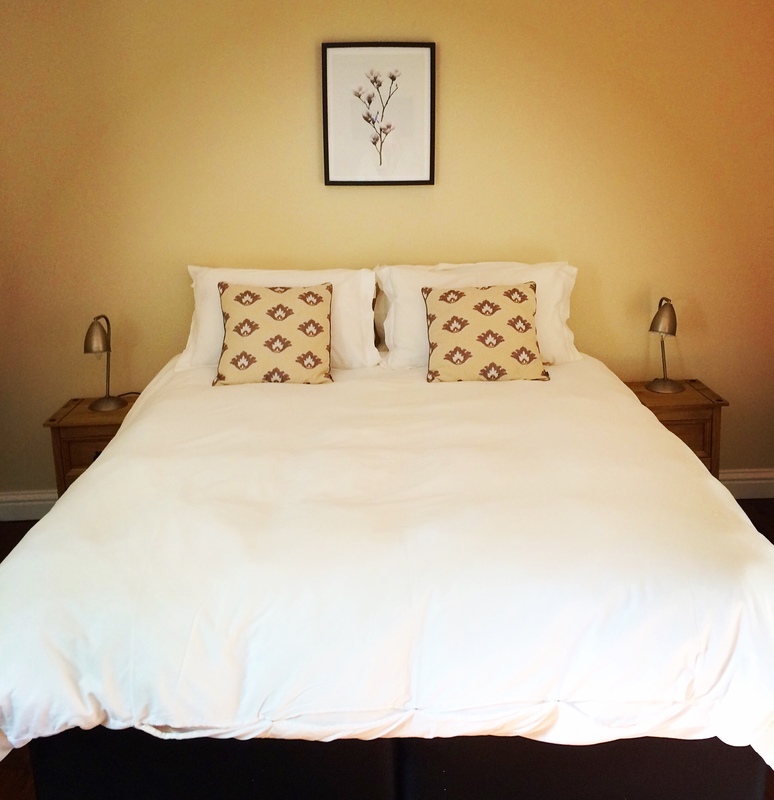 A twin bedroom and large double room provides comfortable sleeping with and generous storage space. The bathroom is finished to a very high standard with wet room style shower and separate bath all to be enjoyed with complementary Damana Organic products. 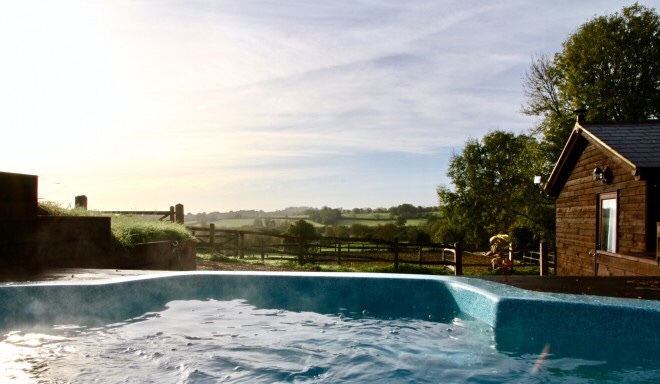 Best of all…just outside our lodge is the farm hot tub, positioned close enough to the lodge that adults can indulge in a relaxing soak whilst still being in ear shot of sleeping children. 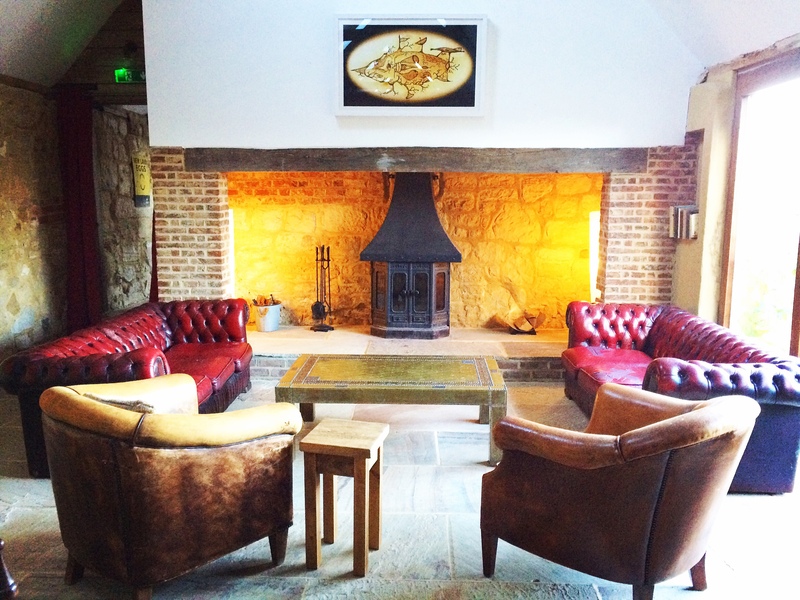 The perfect spot to unwind be it under stars or surrounded by panoramic views of the local farmland. New House Farm has been designed to accommodate either individual families or larger gatherings. 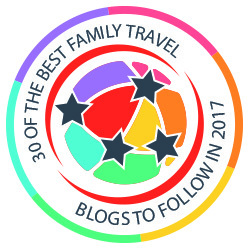 The lodges are interconnecting meaning they’re ideal for multi-generational or extended family holidays. 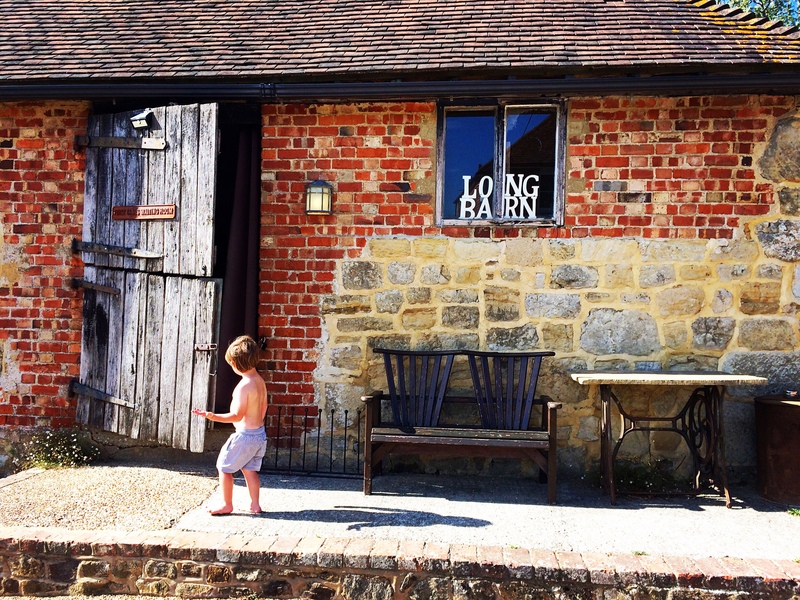 The farm also has a wonderful hosting facility in the Long Barn. This stunning communal space at the heart of the farm can be used as a group dining area, space for welcome drinks or general social hub depending on the occasion. 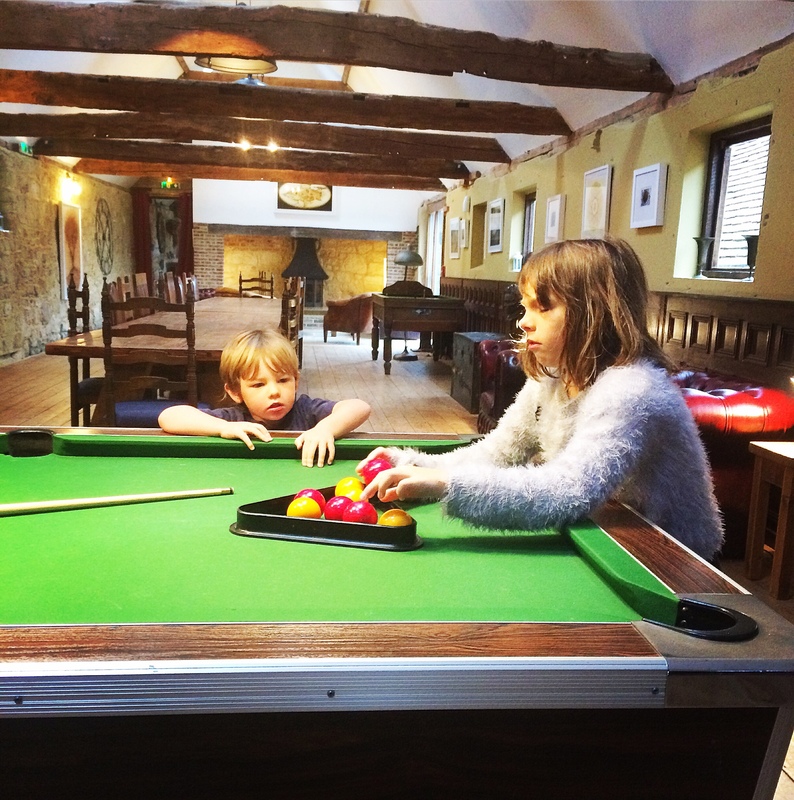 The 300 year old barn includes a cosy inglenook fire place with seating, billiards table and upstairs snug where children can watch a movie. Nina explained that for group bookings they frequently hire a private chef to cater for the whole party. 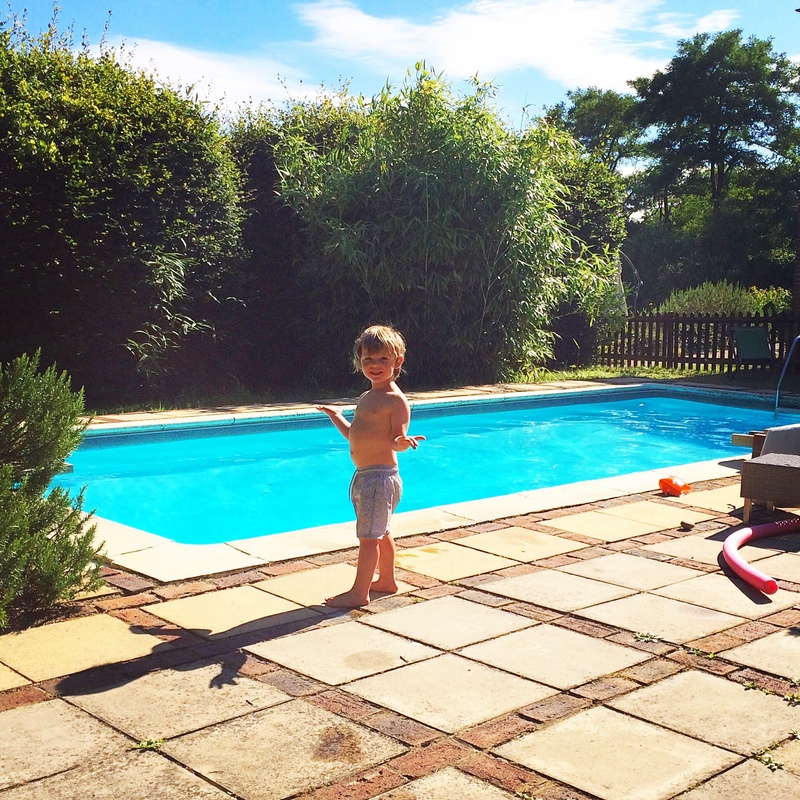 One the highlights of our stay during some warm August weather was making the most of the outdoor pool. The pool is open to all guests between April and October and is the perfect mid-Summer cool down. If swimming’s not your thing there’s loungers around the pretty, sheltered pool area ideal for sunbathing or reading. 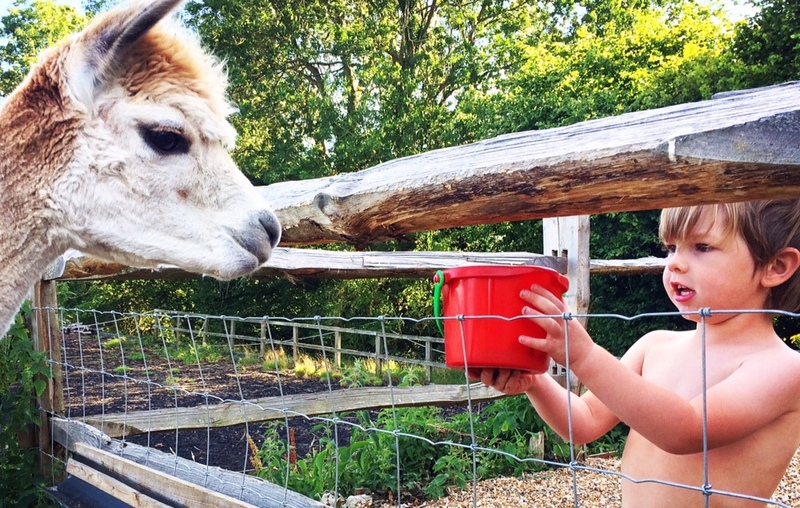 A visit to a farm wouldn’t be complete without meeting some friendly animals. 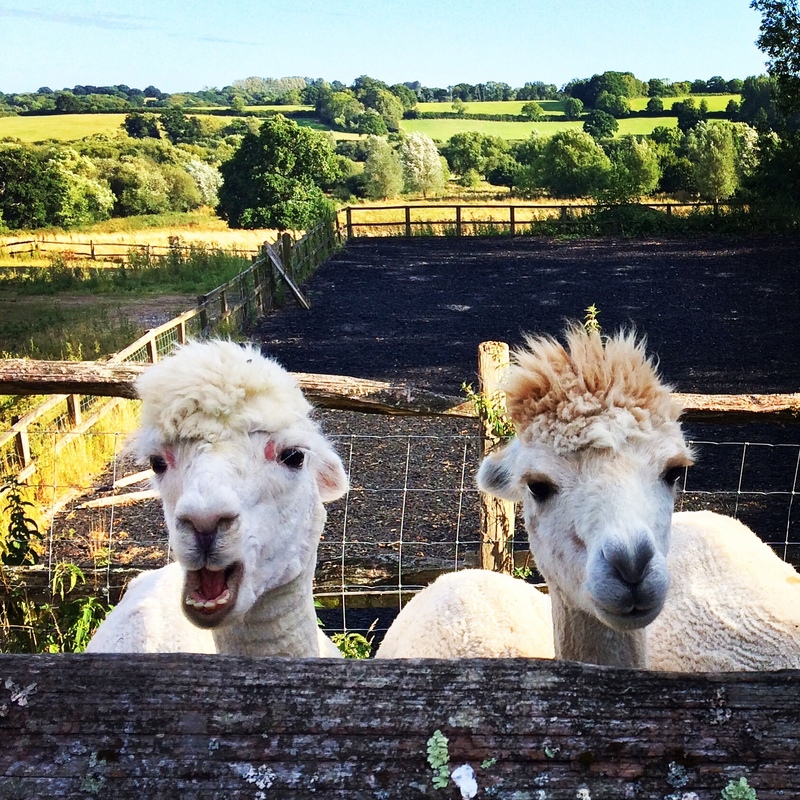 New House Farm is home to a handful of incredibly welcoming creatures with owner Jon making it clear that these furry fellas are definitely pets and not livestock! 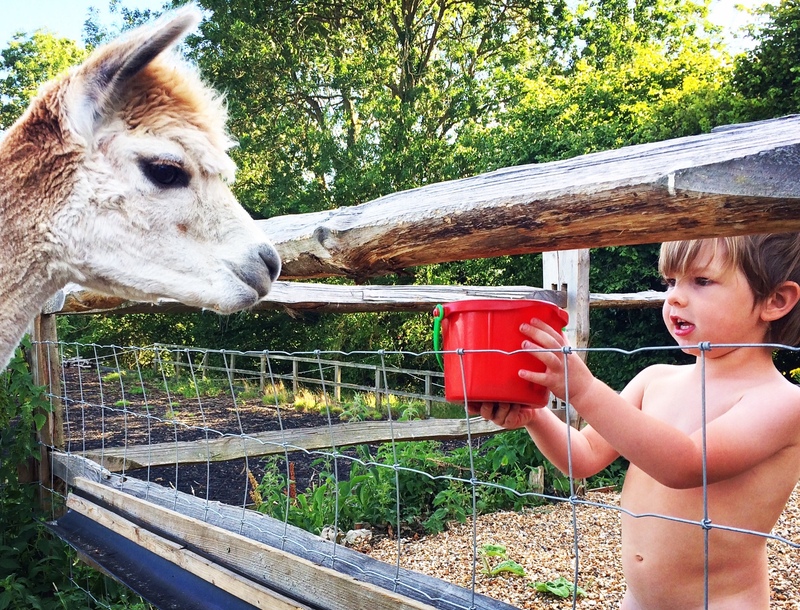 The children were thrilled to be invited to help feed the animals…Lenny the alpaca was a particular favourite! Time spent on the farm is peaceful and laid back. 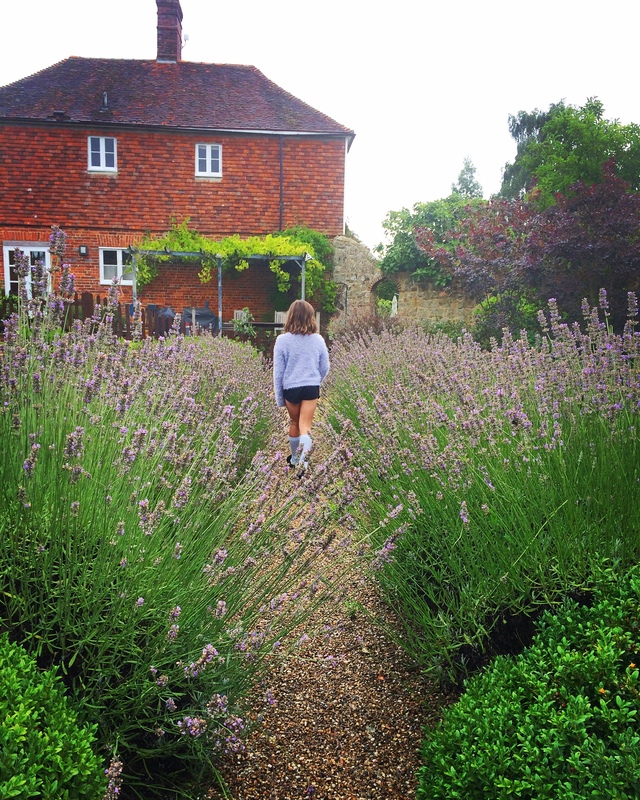 Nina and John have ensured that part of the experience of staying on the farm is feeling free to enjoy and explore the grounds of the property. The grounds are beautifully maintained with pretty walled gardens, flower beds and numerous little points of interest around the site..like little fairy houses! Guests are also welcome to walk the trails in the fields behind the farm along the River Rother. We had a lovely evening stroll as the sun was going down…the perfect wind down before bedtime. New House Farm is the perfect rural escape. 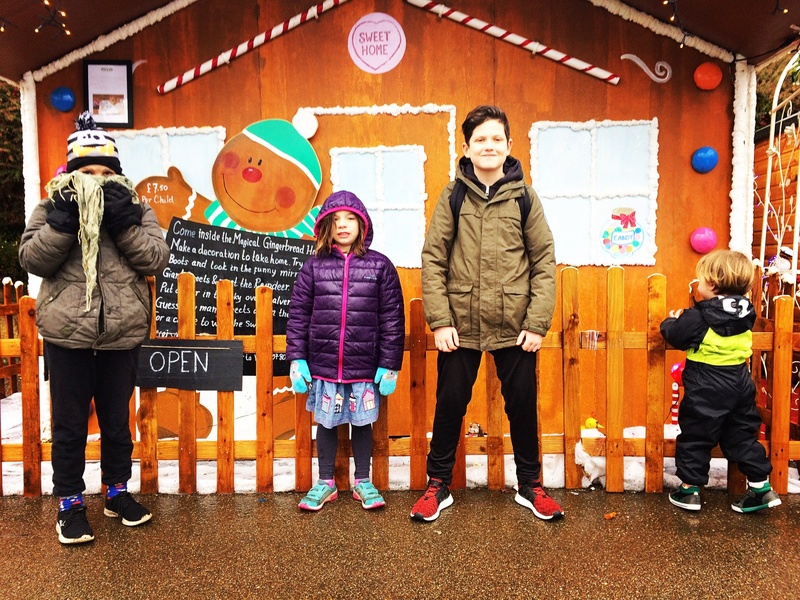 Whether you’re a small family looking to getaway on your own, celebrating a large family event or a group of adults looking to indulge in some fine dining and relaxation New House Farm caters for it all! Nina was excited to share with me that they are now able to offer the main farm house as holiday accommodation in addition to the lodges allowing the farm to sleep up to 28 people in 14 separate bedrooms across the farmhouse and 6 lodges making the farm ideal for retreats and extended gatherings. We loved our visit to the Lodges at New House Farm. 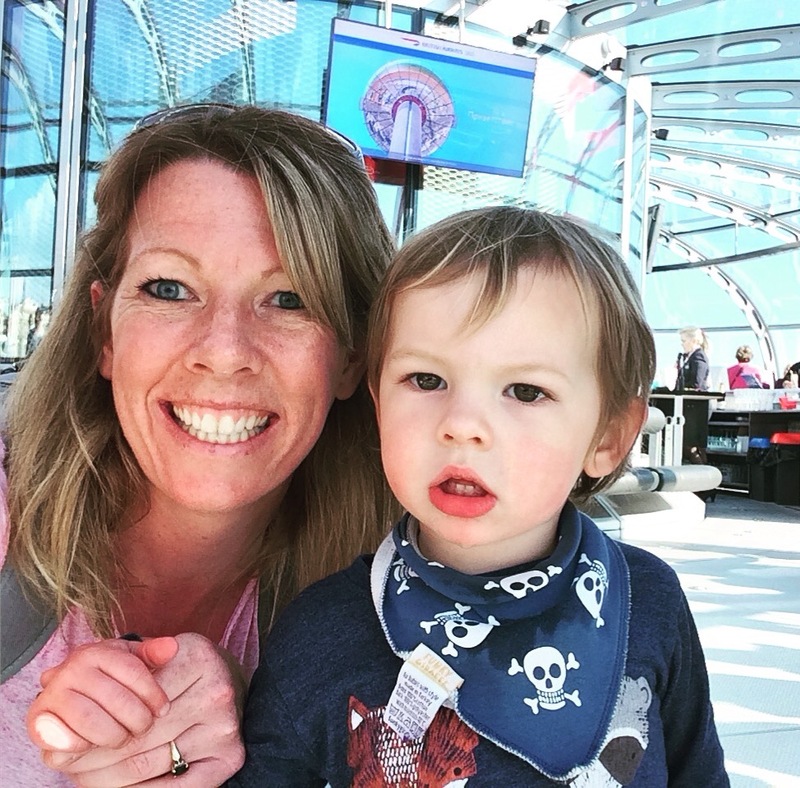 We were made to feel welcome and at home which is always so important when you visit holiday destinations with young children. 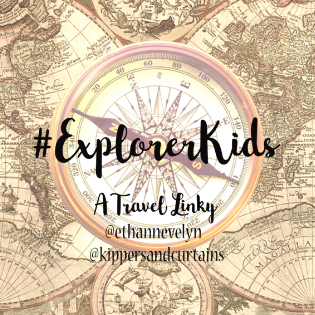 The kids loved the pool, the animals and the grounds….and I loved the hot tub and sense of luxury that the accommodation offered. I’ll certainly be keeping the farm in mind for future family events…and in the meantime we’ll cherish the memories made this Summer. 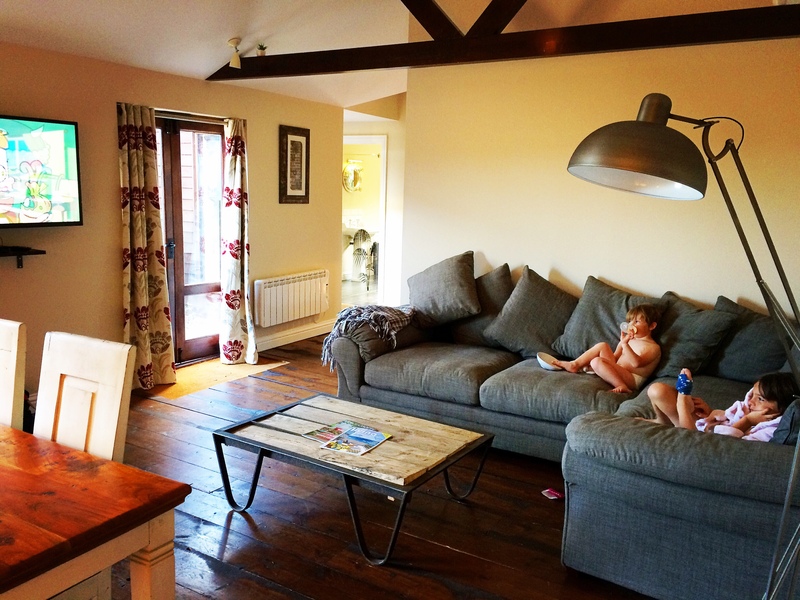 We received a one night complementary stay at the Lodges at New House Farm in exchange for this review. All thoughts and opinions are my own. This place looks AMAZING! Especially if you’re lucky with the weather and get to use the pool like you did. 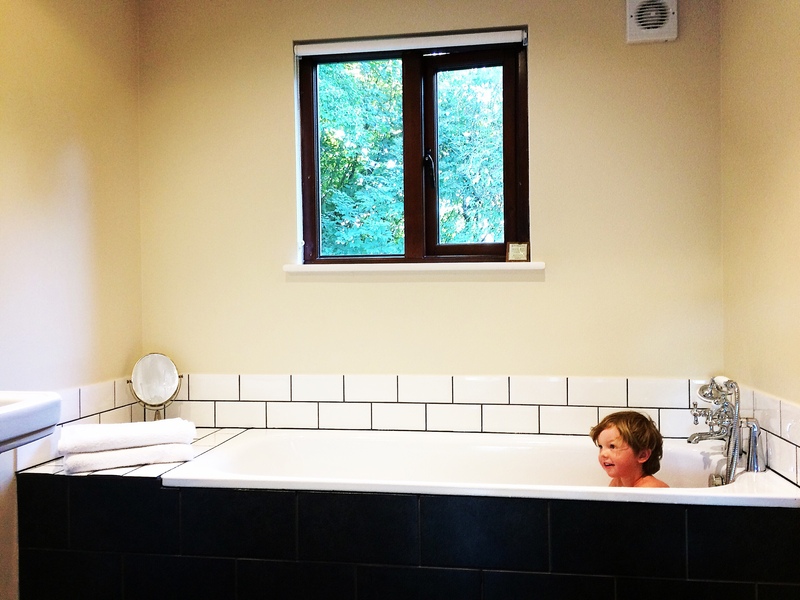 The views from the hot tub look fab and I love the decor inside your accommodation. My kids would love to feed the animals!